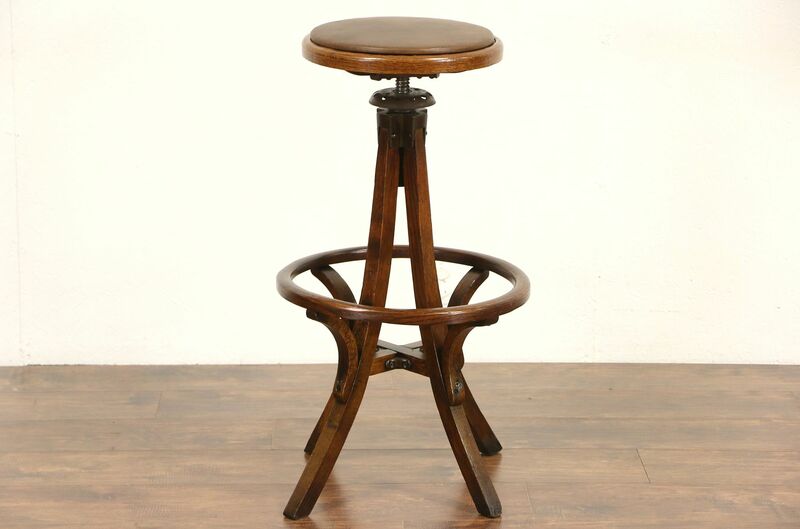 Made for a draftsman or architect about 1920, a solid quarter sawn oak swivel stool is newly upholstered in natural saddle leather. The rugged frame is reglued and refinished to serve another generation. Commercial grade furniture, this office antique was made in America. Seat size is 14", the bottom rung is 17". It adjusts up and down from 31 1/2" to 36" tall.